You might remember exactly where you were in 2012 when your eyes were first assaulted by that “pink slime” video: pastel pink goo coiled sausage-like from a machine, allegedly destined for your fast-food burger. Chef Jamie Oliver campaigned against the substance; McDonald’s pledged to stop using it; lawsuit ensued; and after a few years, the controversy largely dissolved from the public eye. But now “pink slime” is back. 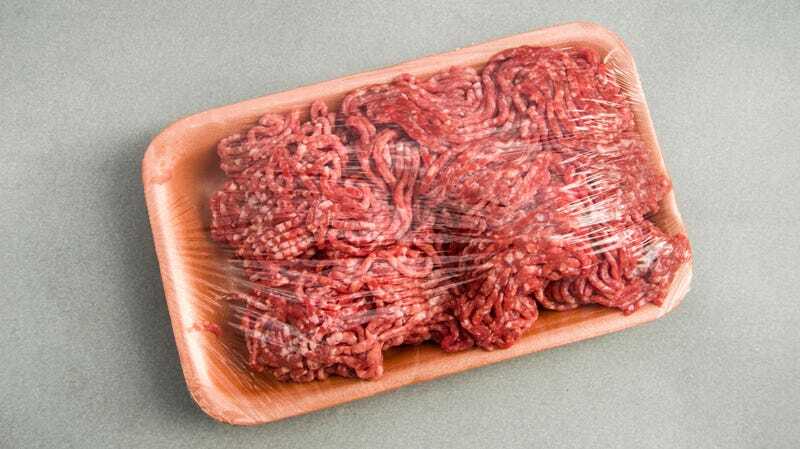 In December 2018, the United States Department Of Agriculture’s Food Safety And Inspection Service quietly reclassified “lean finely textured beef,” which some deride as “pink slime,” as “ground beef.” Beef Magazine reports the company that manufactures this product, Beef Products Incorporated, informed its suppliers on Dec. 21 that new USDA guidelines allowed it to refer to that product as simply “ground beef,” and a spokesperson for the USDA FSIS confirmed the reclassification to The Takeout. “After reviewing the Beef Product Inc.’s (BPI) submission of a new product and new production process, FSIS determined that the product meets the regulatory definition of ground beef under the law in 9 CFR 319.15(a) and may be labeled accordingly,” the spokesperson said in an emailed statement to The Takeout. According to the FSIS, Beef Products Incorporated asked the USDA to reconsider its product’s classification. That ultimately led to a months-long review and the change in nomenclature. Since the 2012 controversy erupted, BPI has been working together with its supporters—namely governors of states with meat-packing plants—to spread the message that lean finely textured beef is beef. To that end, it created a slogan: “Dude, it’s beef.” After years of campaigning from BPI, it appears the USDA agrees. The New Food Economy notes that for now, there’s no plan for BPI to sell its product directly to customers; shoppers won’t walk into a store and see jars of lean finely textured beef in coolers. It’s still just being used as a component of ground beef products, but the USDA’s decision does potentially open the door to BPI products sold directly to consumers as “ground beef.” Therefore, some within the meat industry have criticized the USDA’s decision, saying it will make consumers nervous about beef products and could even open the door for lab-grown or cell-based meat to be labeled ground beef. If you’re interested in learning more about this topic (and who isn’t! ), that New Food Economy article is required reading. While the debate within the industry is ongoing, one detail is absolutely certain: the phrase “pink slime” is back haunting our headlines.